It’s Thanksgiving Week. I’ve survived another birthday, another crazy, unreal year of Trump, and another excruciating, maddening, but ultimately winning Oregon Ducks football season. Like most people, I’m thankful at this time of year for a lot of things — for a great wife, daughters, family and friends, fulfilling work and great bosses, and my relatively good health. 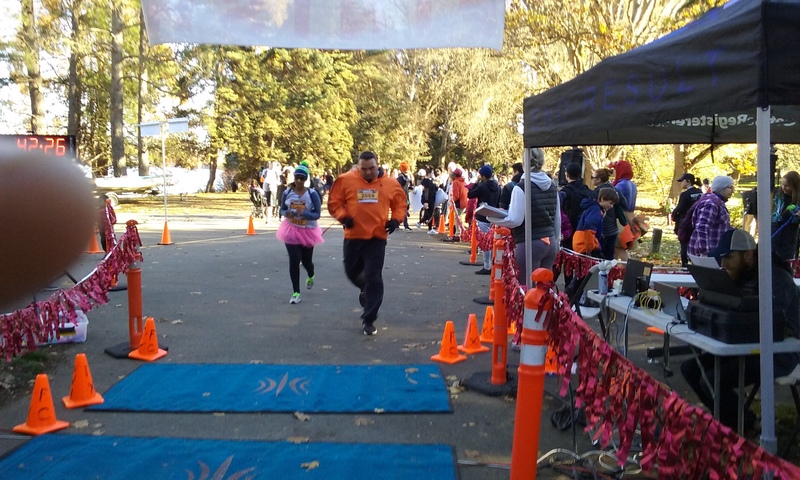 Being able to run — I finished my latest race, the Green Lake Gobble 5K last Sunday (Nov. 18), without much ankle pain and with my fastest 5K time this year — is also very meaningful to me. I don’t want to make this an overly reflective blog post. But I’m grateful I can still do a race — especially after all my ankle problems. I started this year on a scooter, recovering from my second ankle surgery in six years. The nature of that surgery last Dec. 18 could have made running difficult. The doctor fused my left leg and foot bones, so that I no longer have an ankle bone. It had deteriorated into almost nothing anyway. After the latest surgery, I came across a couple of articles noting that people who have had this fusion surgery often give up on running. The writers encouraged people to believe that they could run again and to give it a try. 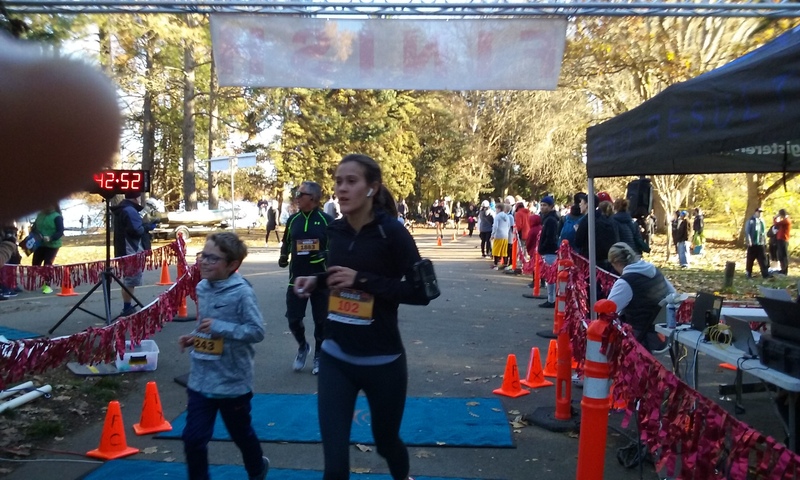 This latest race was my ninth run in 2018 — and my No. 222 (without a DNF) since I started doing road runs in 2001. This coming Sunday, I’m running (and walking) my 39th half-marathon, the Seattle Half-Marathon. No pressure on getting a good time; it’s my longest run of the year, and I’m just trying to get to No. 40 sometime next year. It will be challenging to get through this race, but I’m thankful to be able to do it. 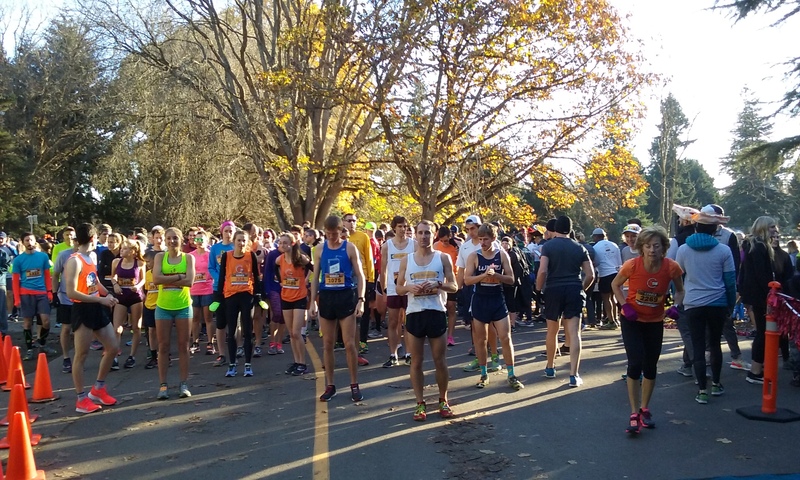 You see a sea of orange at a Green Lake Gobble race, with many runners dressed in pumpkin or turkey outfits. 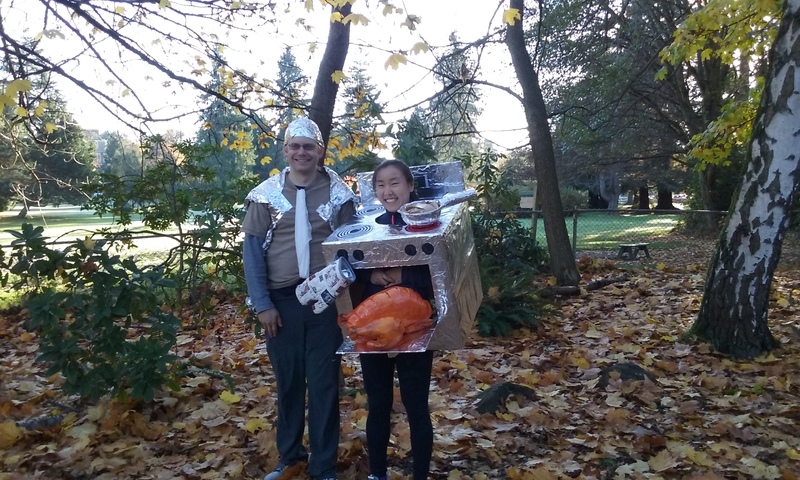 I came across two different runners wearing boxes designed as stoves — with turkeys in the oven. I appreciate the spirit, but how could you run in such a contraption? I could have done the 10K, but I’ve done that distance before at Green Lake Park and opted for the shorter run this time. The 10K means two laps around the lake. About 80 percent of the runners do the 5K, so that second lap around the lake is a lonely one, doing battle with the non-race users of the park going the other direction. No thanks. Even with the 5K, there’s lots of congestion. But as a race participant, at least you are in the majority. 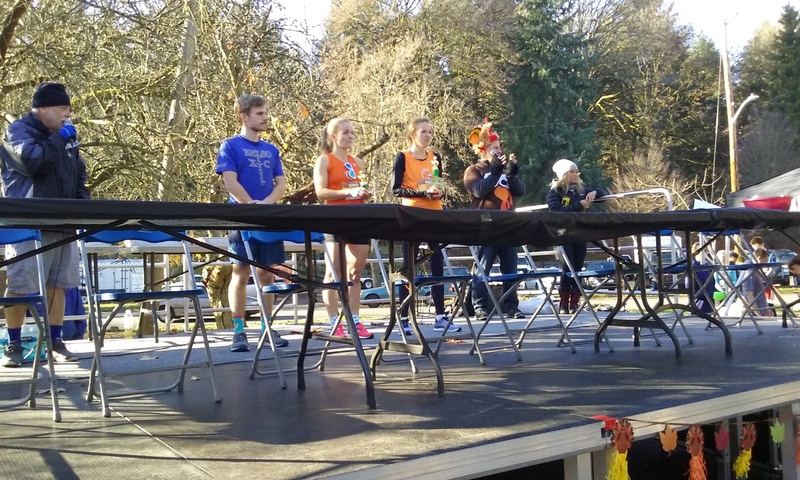 This particular course, unlike the Valentine’s Day Dash 5K that I typically do every February, utilizes the 2.8-mile inner trail around the lake rather than an outer trail that circles the lake on city streets. The outer trail covers the distance; the inner trail requires a 0.3-mile spur leg to get to 3.15 miles for a 5K. About that spur leg: It is always narrow and crowded. But I got through it without incident — unlike in 2008 in the Valentine’s Day course that then occupied the inner trail. In that race, I tripped over someone when trying to running into a dog, landed awkwardly and tore my left hamstring. Ouch. I thought about that mishap during this stretch, when a dog was next to me, but I managed to have enough running room. 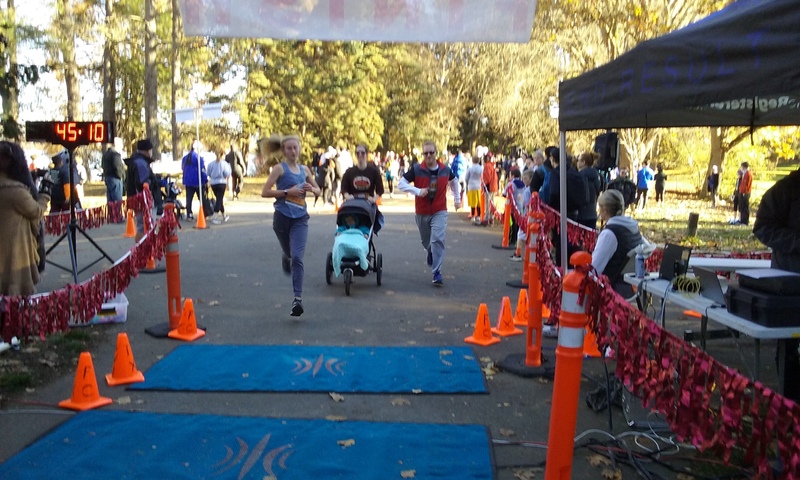 Getting through the last mile of a 5K is always painful, but it felt great to get to the finish line. My ankle surgeries have forced me to reduce my goal time for a 5K. Prior to 2008, I strived to beat 25 minutes (I’ve done so twice and my PR is 24:32). After my 2008 hamstring injury that I just discussed, I focused on beating 30 minutes. These days, after two ankle surgeries, I am happy just to beat 40 minutes. So I felt good about finishing this race in 38:20 (12:22 per mile), for 614th place out of 1,118 runners and walkers. 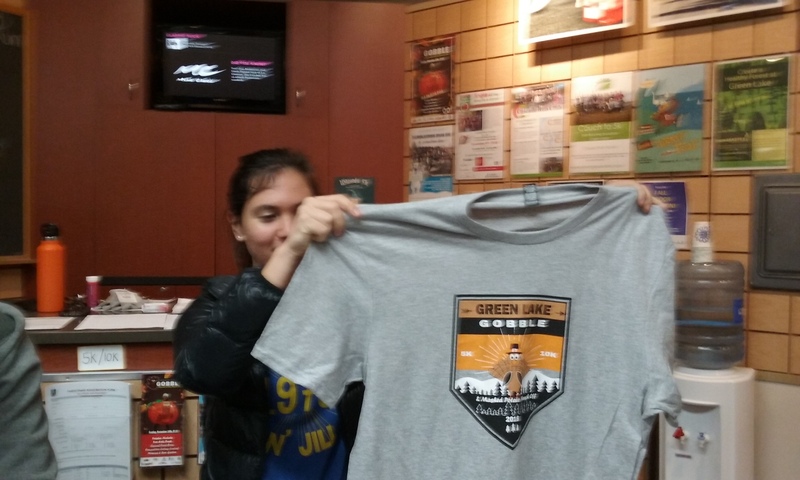 It was my best time out of five 5Ks this year. I even beat the “average time” for the race of 39:40, something I rarely do anymore. Full results are here. Congrats to my runner friend and former Allytics colleague Jamin King, who finished third overall in the 5K in 16:03 (5:11 per mile). If all goes well with Sunday’s Seattle Half-Marathon, and I believe it will, I have the usual races targeted for December (Jingle Bell Run in Seattle or 12Ks of Christmas in Kirkland) and January (Resolution Run 5K on New Year’s Day). But I’ve already signed up for an 8K run and bicycle ride through the new Seattle Tunnel and the old Alaskan Way Viaduct Feb. 2-3. Yes, organizers are celebrating (milking) the opening of the new tunnel and the dismantling of the ancient viaduct with a road run and bike ride on back-to-back days. I know that in my earlier 2018 posts, I called the Emerald City Ride and the Torchlight Run the final events across the viaduct, but, as it turns out, they were not. That’s OK. I’m looking forward to the Tunnel to Viaduct 8K on Saturday, Feb. 2, and the Cascade Bicycle Club’s Tunnel Ride 2019 on Sunday, Feb. 3. Both events are likely to be sellouts. In the meantime, I’ll be giving thanks for a lot of things, including running. Happy Thanksgiving, everyone! 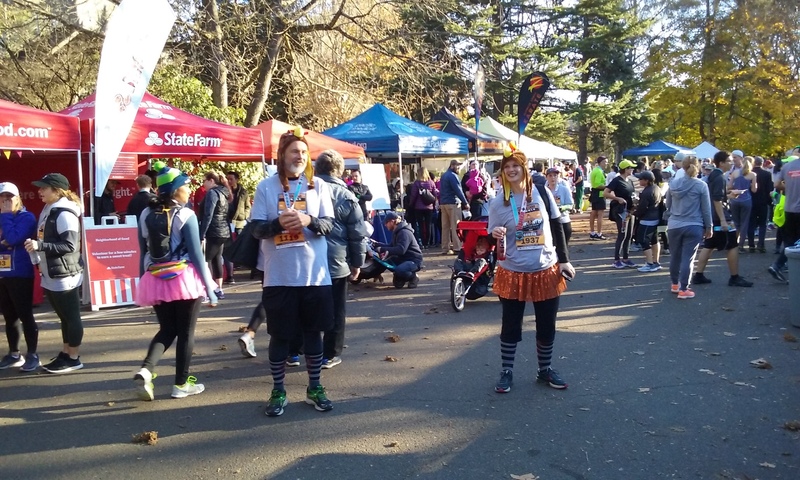 This entry was posted in 10K, 12Ks of Christmas, 5K, 8K, ankle surgery, Bicycling, Green Lake, Resolution Run 5K, Running, Seafair Torchlight Run, Seattle Marathon, Walking and tagged 12Ks of Christmas, 5K, Allytics, ankle surgery, Bicycling, Cascade Bicycle Club, Green Lake, Half-Marathons, Resolution Run 5K, Running, Seattle Marathon, Walking. Bookmark the permalink.